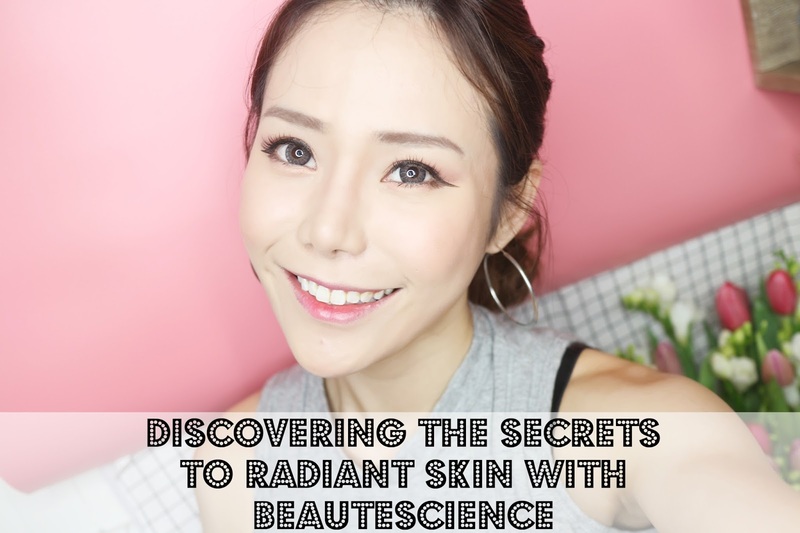 Discovering the secrets to radiant skin with BeauteScience! The idea of both EstheWhite and EstheShield is that they work hand in hand to help us achieve fairer, brighter complexion and fight premature ageing with natural active ingredients. To me, no matter how much whitening supplements you take will NEVER be as effective as taking preventive measures like protecting our skin against the harmful UV rays. I was told that the core ingredient of EstheShield is a proven natural fern extract, called polypodium leucotomos. Extensively researched, Polypodium leucotomos is effective in defending skin against damage from the sun and UV radiation when taken orally, which happens to be one of the main ingredients in EstheShield! Do you also know that Polypodium leucotomos has both antioxidant and anti-inflammatory properties?? If you are skeptical, EstheShield has been researched for over 40 years, with an excellent safety profile! There are no known contraindications to polypodium leucotomos, although pregnant and breastfeeding patients are advised to consult with their obstetricians prior to starting this supplement. 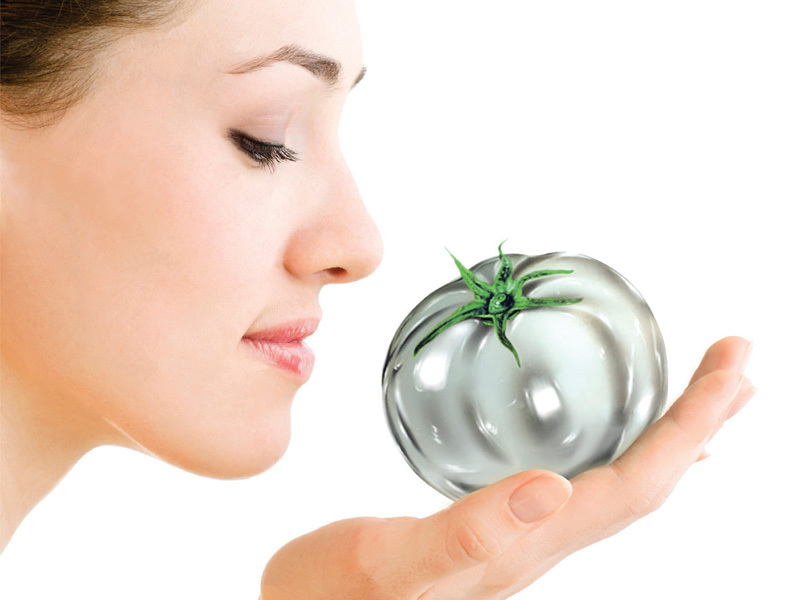 EstheWhite’s key active ingredient, PhytoflORAL®, is a patented innovative dietary supplement that comes from a source of non-GMO tomato species that are rich in colourless carotenoids, namely phytoene and phytofluene. These carotenoids are colourless and do not bleach nor stain the skin. They are known to lighten and even out skin tone by inhibiting melanin synthesis which helps in reducing pigment production, protect against UVA and UVB rays as well as to significantly increase anti-inflammatory and anti-oxidant processes. Carotenoids are natural sun protectants found in plants which help absorb harmful UVA and UVB rays as well as to supress free radicals that leads to premature ageing and dark, uneven skin tone. As the human body is unable to produce carotenoids, it can be obtained through diet which is why taking whitening supplements with carotenoids helps us in achieving a fairer skin tone. It is known to help prevent the production of darker melanin, stimulate the production of glutathione (often referred to as “the mother of all antioxidants"), promote skin renewal and display anti-oxidant effects that is so good for the skin! The effects of colorless carotenoids, got itself a clinical scoring by the dermatologist that 60% to 86% of the subjects’ skin quality was significantly improved after 6 weeks. The subjects were also given a Minimal Erythemal Dose (MED) test whereby the higher the MED one has, indicates that the person will have lesser tendency to get tan or sunburn when expose to UV rays. It is absolutely safe to take EstheWhite as it is a natural food supplement consisting of 100% non-GMO tomato powder and natural amino acids. There are no known safety concerns, but for patients who are allergic or possibly allergic to tomatoes should consult their doctor before taking this supplement. Pregnant and breastfeeding patients are also advised to consult their obstetricians prior to starting this supplement. Also, these pills are in capsule form and is easy to swallow. 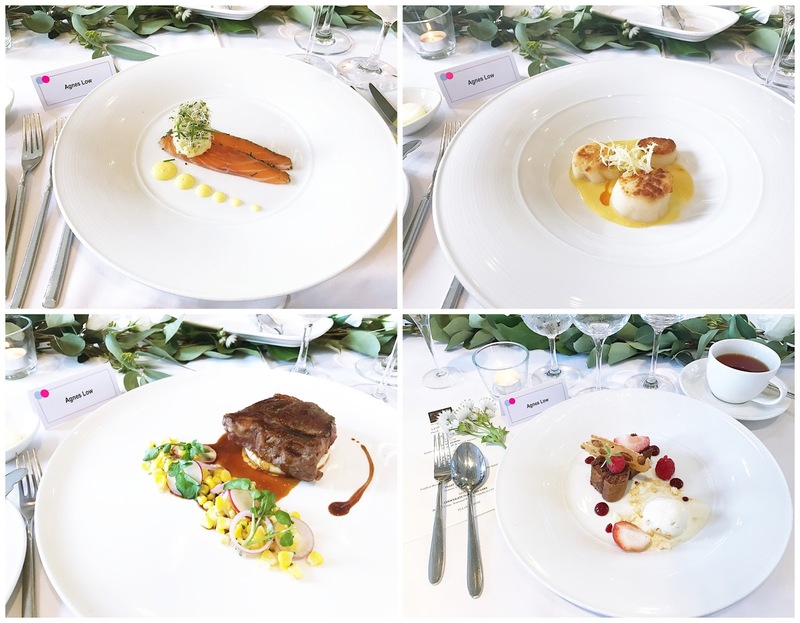 Now let me take you guys back to about a month ago to the gorgeous BeauteScience event where I was first exposed to EstheWhite & EstheShield! There was a talk where we learnt a lot about EstheWhite and EstheShield and how we can incorporate these supplements into our daily lives. The best part has yet to come! 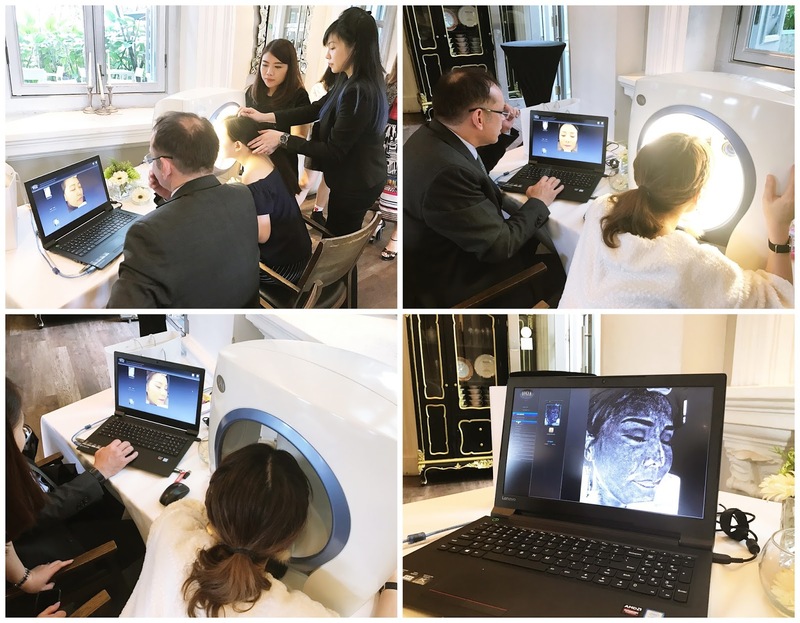 What really interest me was that when we got to sit down with the Doctor to have our skin checked by a machine to detect the number of sun spots we have hidden under the surface of our skin! 😱😱😱 How cool is that?! Thankfully for me, the doctor said that I do not have much sun spots and my skin is quite okay for my age. So all along, my constant sun care protection DOES HELP! The best part about natural oral supplements is that all you have to do is just to remember to take them before you step out of the house each day and viola! I really like how straight-forward the dosage is - just one each per day is sufficient and each box last for about a month! Overall, I did notice a more radiant-looking skin and somehow, a more even skintone as compared to when I did not consume the EstheWhite & EstheShield. However, with so much goodness and all the best ingredients to aid in caring for our skin, protection and whitening, I do feel that it is definitely a set that you will want to try if you want to take a step further in achieving brighter, clearer, fairer and luminous skin! to find out more about these amazing products! Also, do not miss the opportunity to win a set of EstheWhite and EstheShield worth SGD199! A total of 100 sets will be given away to all the lucky winners! Thank you for EstheWhite and EstheShield, BeauteScience!